Johnny Shines (April 26, 1915 ? April 20, 1992) was an American blues singer and guitarist. He was born John Ned Shines in Frayser, Tennessee. He spent most of his childhood in Memphis playing slide guitar at an early age in local ?jukes? and for tips on the streets. His first musical influences were Blind Lemon Jefferson and Howlin' Wolf, but he was taught to play the guitar by his mother. Shines moved to Hughes, Arkansas in 1932 and worked on farms for three years putting his musical career on hold. He was born John Ned Shines in Frayser, Tennessee. He spent most of his childhood in Memphis playing slide guitar at an early age in local ?jukes? and for tips on the streets. His first musical influences were Blind Lemon Jefferson and Howlin' Wolf, but he was taught to play the guitar by his mother. Shines moved to Hughes, Arkansas in 1932 and worked on farms for three years putting his musical career on hold. But it was a chance meeting with Robert Johnson, his greatest influence, that gave him the inspiration to return to music. In 1935, Johnny Shines began traveling with Robert Johnson, touring the south and heading as far north as Ontario. There, they both appeared on a local radio program. The two went their separate ways in 1937, one year before Johnson's death. Johnny Shines played throughout the U.S. South until 1941 when he decided to head back to Canada and then to Africa. He never made it past Chicago. In Chicago, Shines found work in the construction trade and continued to play in local bars. He made his first recording in 1946 for Columbia Records, but the takes were never released. He later recorded for Chess and was once again denied. He kept playing with local blues musicians in the Chicago area for several more years. In 1952, Johnny Shines recorded what is considered his best work for the J.O.B. Records label. The recordings were a commercial flop and Shines frustrated with the music industry, sold his equipment and returned to construction. In 1966, Vanguard records found Shines taking photographs in a Chicago blues club. He recorded with the label takes for the 3rd installment of Chicago/The Blues/Today!. The album has since then become a blues classic and it brought Johnny Shines into to mainstream music scene. Shines toured with the Chicago All Stars alongside Lee Jackson, Big Walter Horton and Willie Dixon. 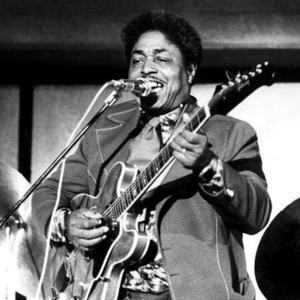 In the late sixties and seventies, Johnny Shines toured with Robert Johnson's step-son, Robert Junior Lockwood as the last remaining original delta blues musicians. In 1980, Shines' music was brought to a standstill when he suffered a stroke. He would later appear in the documentary ?Searching for Robert Johnson? and manage to release one last album, Back To The Country. Johnny Shines Died on April 20, 1992 in Tuscaloosa, Alabama. In 1989, Johnny Shines met a Minnesota born young blues player named Kent Duchaine, and the two of them toured for the next several years until Shines' death.